Fall under the spell of this mystical progressive jackpot slot by Eyecon. With symbols including glittering unicorns, a magical staff, a spell book, and a fortune tellers globe, you are sure to be left spellbound and star struck after giving these reels a whirl! Shooting stars fly past in the background, adding to the dynamic and magical quality of this slot. Are you up for more magic? Check out slots here. 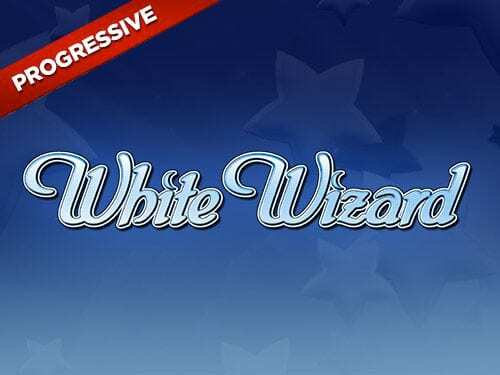 The wizened white wizard himself makes frequent appearances in this game, watching over the proceedings from beneath a sizeable set of bushy eyebrows. Founded in 1997 and based in Brisbane, Eyecon have maintained a position at the forefront of the gaming industry since their inception. Every year their slots appear in the Top 10 games of the year, as ranked by various gaming platforms. On Wizard we have many fantasy-themed games which we love but obviously, for the namesake of this one, it's one of our favourites. Another superb creation by this developer. If you enjoy the magic of White Wizard Jackpot, try your hand at Spellcraft or The Magical Forest! This a 5 reel slot with 25 paylines. Players can choose how many of the lines to bet on, and can bet anywhere between 1 to 30 coins per line – this means a bet range of 1.00 to 750.00! An Autospin feature is available which will take up to 100 spins for you. To learn more about best slots with amazing bonus features, see our guide. The White Wizard acts as the Wild symbol in this game, and can substitute in for other symbols to help you get winning combinations! Being a man of the magical persuasion, he will also cast a spell to triple your winnings every time he is part of a winning combination! His magical friend, the fire breathing dragon, is the Scatter symbol. If 3, 4, or 5 of these fiery guys appear on screen at any time, you will be rewarded with 15, 20, or 25 free games respectively. 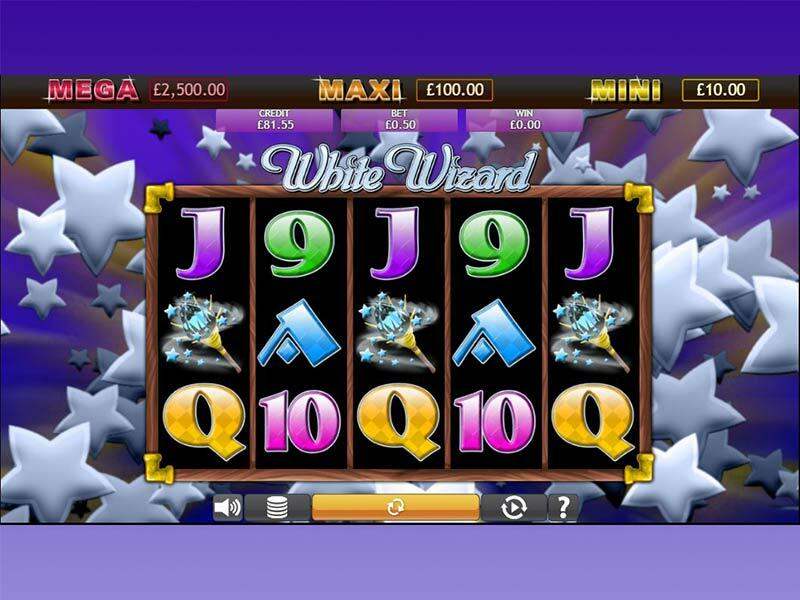 Even better, during these free spins, the White Wizard Wild becomes an Expanding Wild, to maximise your chances of winning. The Scatter dragon also pays out – 2, 3, 4 or 5 in a line will see you win 2, 5, 15, or 300x your total bet respectively! An exciting Gamble round gives you the chance to double your winnings after every win – simply guess correctly the colour of the card that is about to be turned over. But be warned – if you get it wrong you’ll lose everything! The best thing about this game however are the three progressive jackpots. You can win them at any time on any spin, so keep your fingers crossed for either the mini, maxi, or Power Pot jackpots! The Power Pot jackpot can reach up to £25,000, the Maxi can hit £500 and the Mini pays out a respectable £50! 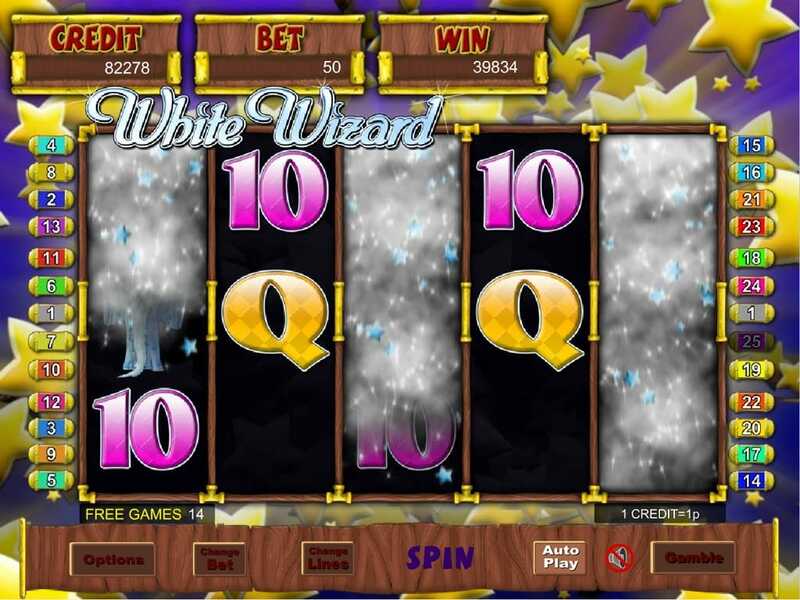 There is certainly something magical about this slot by Eyecon! With a lower than usual RTP of 89.92% this is not a slot for the faint of heart, but with a considerable range of total bets available players of any budget can try their hand at casting a few spells. The progressive jackpots ensure the potential for some large payouts, with Power Pot jackpot reaching up to £25,000! If White Wizard Jackpot was enjoyable for you, we have no doubt that Enchanted Prince Jackpot will be too.